Fishing Charter Clearwater, FL Rates - Budget for the Big Ones! All tackle, bait, necessary licenses, and equipment are provided and included in prices, as well as cleaning and filleting services upon request. We are available to take you on the Clearwater area fishing charter of a lifetime 7 days a week, weather permitting. 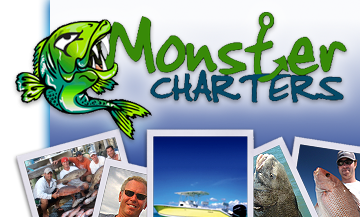 Contact Monster Charters today for more information about flats and inshore fishing charter rates and availability in the Clearwater and St Petersburg area.